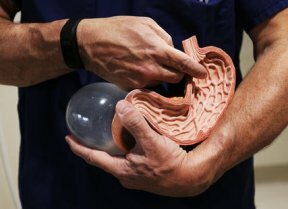 A new, nonsurgical weight-loss procedure — which involves inserting a tube down a patient’s throat and suturing the stomach — is safe and effective, a new study finds. During the procedure, which is called endoscopic sleeve gastroplasty, doctors insert a long tube down a patient’s esophagus to the stomach. Then, they sew “pleats” into the stomach, which makes it resemble an accordion. The procedure reduces the volume of the stomach, so that patients feel fuller faster and therefore eat less, said lead study author Dr. Reem Sharaiha, an assistant professor at Weill Cornell Medicine in New York City. Sharaiha presented her findings at Digestive Disease Week, a scientific meeting focused on digestive diseases. Because the procedure is “endoscopic,” and thus does not involve cutting through the abdomen, the procedure is not considered surgical. The new procedure could be an option for people who are obese, meaning they have a BMI of 30 or higher, who either cannot undergo weight-loss surgery due to medical conditions or do not want to have surgery, Sharaiha said during a news conference in advance of her presentation. 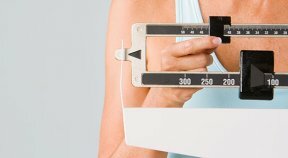 The procedure is not intended to replace other weight-loss surgery options, but rather to offer an additional, “safe and reliable, cost-effective” option, she said. In the study, which has not yet been published in a peer-reviewed journal, Sharaiha and her co-authors compared the endoscopic sleeve gastroplasty to two options for weight loss that do involve surgery: laparoscopic sleeve gastrectomy and laparoscopic banding. Both of those operations involve making small incisions in a person’s abdomen to allow surgeons to reach the stomach. During a laparoscopic sleeve gastrectomy, surgeons cut away a large portion of the stomach, making the organ smaller and sleeve-shaped. During a laparoscopic banding operation, surgeons wrap a band around the upper portion of the stomach (rather than cutting the organ), so that only a smaller section of the stomach is left to carry out its functions.